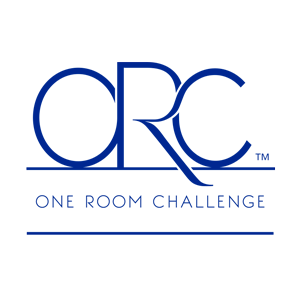 This week we are doing a preview of the next One Room Challenge that begins on April 2nd with questions I have been asked about the ORC and about the process of designing a room. 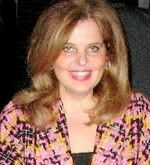 I am very often asked how to go about choosing a paint color from the zillions of paint colors out there. The answer is actually simple. 1. 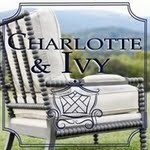 Choose a paint company - I personally love Farrow & Ball and Benjamin Moore. There are other high end paints out there, but these are my go-to paints. I'm sorry, but with cheap paint, the colors are horrible and the finish is even worse. Your walls will look like they are coated in plastic. 2. Choose a collection from the company you have selected - I love all of Farrow & Ball's colors and it has only one color card with a highly edited 132 colors. And they are all gorgeous! 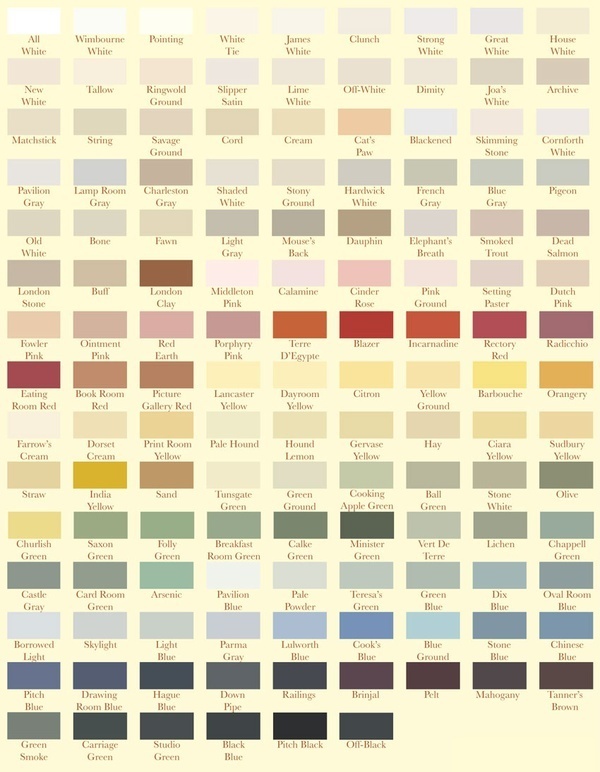 I am also a huge fan of Benjamin Moore's Historical Collection that has only 174 colors. You will be overwhelmed looking at thousands of paint swatches. People go nuts with all the choices and they panic and they choose white. Benjamin Moore alone has 3,400 colors. Narrow it down to a collection you love and stick with it. They have already done the work for you. Love Darryl Carter? He has a collection for Benjamin Moore. Love Candice Olson? She has a collection for Benjamin Moore. Love Ralph Lauren? He has his own paint line with gorgeous colors. Find a palette that has your "world view" and use colors from that collection throughout your house. Your house will have a much better flow. 3. The reason that I choose high quality paint is that the colors are more pigmented, complex and sophisticated. You get far richer color on your walls that changes colors in different light and and the finish is far more elegant and rich. I love a flat finish and use it everywhere including kitchens and bathrooms. In Benjamin Moore, I always use their Aura line. 4. 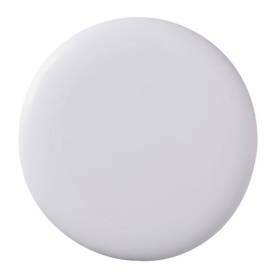 I hate white and beige, but I love soft and gentle paint colors. They are the perfect backdrop for all the color that I love in a room and they don't fight with it. Choose colors that are somewhat muddied or grayed for a more sophisticated palette. Colors that are too clear tend to look tacky once they go up. I was at a book signing for Farrow & Ball at my favorite local paint store Color Wheel in McLean a while back. I remember the speaker saying that Farrow & Ball does not do "pretty colors." If you look at their colors, you will understand what he meant. Colors that are pretty in a swatch tend to look cheesy on your walls. 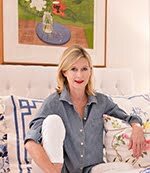 Here are some of my top favorites I have used in my own home and clients' homes. 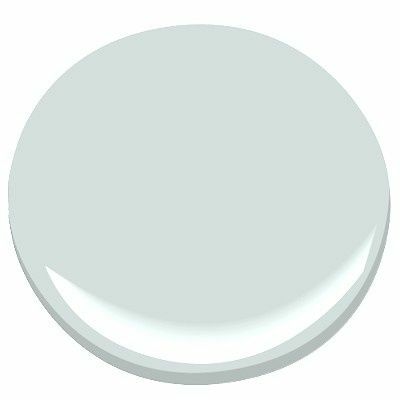 I used Benjamin Moore Icy Morn in my One Room Challenge kitchen and I used Benjamin Moore Stonington Gray in my One Room Challenge powder room. 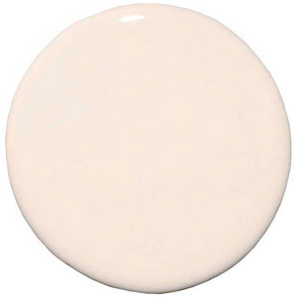 I have decided on a Benjamin Moore paint color for my next One Room Challenge room as well. Beth, you are so right. I love Farrow & Ball and used their paint in my house. It looks lived-in and doesn't scream at you. Excellent post..... when it comes to lighting, i think its the most important thing but most overlooked. I leaned the hard way:) I actually like white and beige for the right rooms, I think some spaces need neutrals for balance. So true about not using clear colors. My blue was custom created so that it isn't clear. It has lots of gray. I adore how it changes color from room to room with different lighting and at different times of day. Also with all of the gray, it works as a wonderful neutral and every color looks gorgeous with it. Excellent advice, Beth! Although I am a huge fan of crisp white walls when paired with espresso wood floors, and bright pops of art. :) Another paint collection I absolutely love is the Dorothy Draper/Carleton Varney line for Fine Paints of Europe...http://www.finepaintsofeurope.com/dorothy_draper_carleton_varney_collection.aspx Fabulous post!! 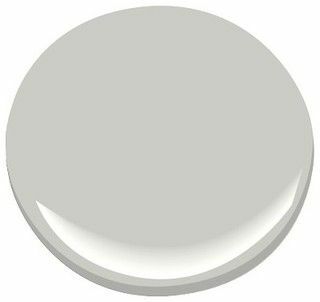 Great post...Ive been looking for a soft gray blue all most white paint for my living room...Some of these could be perfect....thanks..
That's really helpful advice, as we are choosing interior colours at the moment. What colours would you suggest for someone who is used to beige being his default colour (something which goes with everything)? 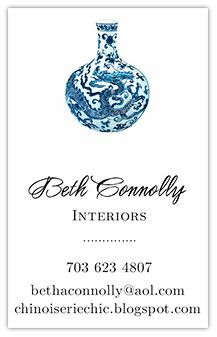 Love your tips and your choices, when we boutht the house 3 yrs ago, I went to Benjamine more...it was a fun project for me and one of our colours is the "stonnington gray" too!